Architects, engineers, and design professionals rely on Autodesk® AutoCAD® to create precise 2D drawings and 3D models. Subscribe to AutoCAD including specialized toolsets and gain industry-specific functionality, flexibility with AutoCAD web and mobile apps, and the latest innovative features in subscriber-only updates. Work faster with specialized libraries and features for industries such as architecture, mechanical design, and 3D mapping. Work anytime, anywhere with new web and mobile apps, giving you freedom to design and draft on the go. Work smarter with the latest AutoCAD enhancements and performance improvements across desktop, web, and mobile. Speed architectural drawing and documentation with building design features and more than8,000 intelligent architectural objects. Automate floorplans, sections, elevations, and more. Accelerate product design with specialized mechanical design features and more than 700,000 intelligent manufacturing parts, features, and symbols. Automate tasks, such as generating machine components and creating bills of materials. Boost productivity while designing and documenting electrical controls systems with specialized features and more than 65,000 intelligent electrical symbols. Speed design of panel layouts, schematic diagrams, and more. Efficiently draft, design, and document building systems with specialized engineering features and more than 10,500 intelligent mechanical, electrical, and plumbing objects. Easily design ductwork, electrical conduit, and circuiting for building systems. Produce P&IDs efficiently, and integrate them into 3D plant design models using specialized plant design and engineering features. Quickly create plant layouts, schematic diagrams, and more. Convert raster images into DWG™ objects with raster-to-vector tools. Easily edit and clean up raster images while transforming them into vector drawings within a familiar AutoCAD environment. Improve planning and design by incorporating GIS and CAD data. Manage spatial data more easily with standard data schema, automated business workflows, and report templates. 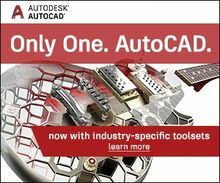 Not ready for the full functionality of AutoCAD? Consider expanding your 2D engineering process with Autodesk® AutoCAD LT®. Why Purchase Autodesk Subscription with IMAGINiT? Often an implementation of Autodesk Vault involves the use of a Vault Revision Table, which allows you to automatically update a drawing's revision table with Vault data when properties are synchronized. Read this whitepaper to learn how this feature can be added to a drawing template in AutoCAD. Most all AutoCAD drawings use blocks, most notable in the title block. These blocks contain metadata such as part number, material, description to name a few. Most companies use block attributes to capture and this metadata and store it in the drawing. This whitepaper suggests a different method of capturing this metadata by the use of fields. It also covers the use of fields in the Autodesk Vault if available at your company. This is a continuation of my last paper where I showed a few of the basic Dynamic Blocks functions. In this paper we will be talking about Stretching blocks and adding Incremental lengths or widths to the block. This will allow the user to create one block with multiple sizes within it in order to quickly adjust its size. Chris Griffith is a Manufacturing Applications expert at IMAGINiT Technologies. 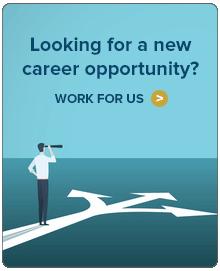 He provides standard, custom, and advanced AutoCAD and Inventor training. He treats every class as a learning experience for himself and the student, which allows him to focus on customer needs and what may help them become a better draftsperson or designer. Dynamic blocks help designers create layouts or designs very quickly. It allows multiple views, positions, and items in one easy to use block. This article describes how to create them quickly with the desired results, so follow along as we go over some of the dynamic block creation basics. This sheet explains what folders need full permissions for each user.